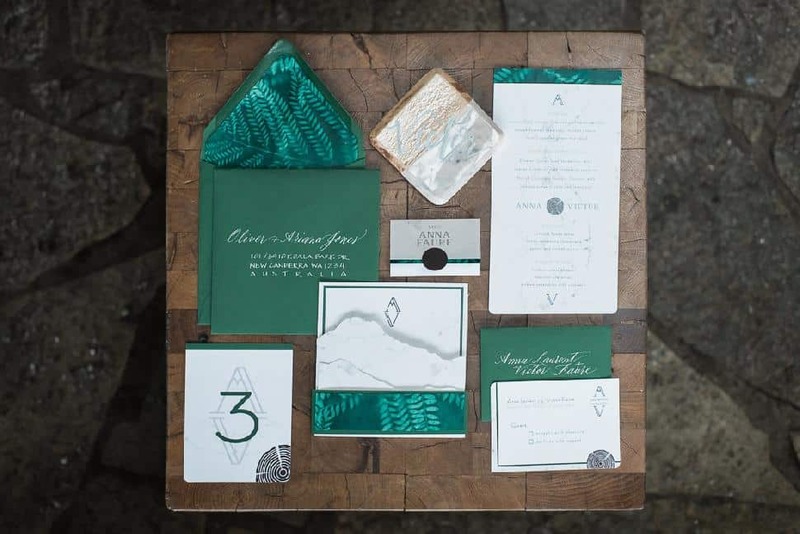 Inspired by the colours and location, Cornwall Stationery created a mountain cutout for the invitation suite on marbled paper. 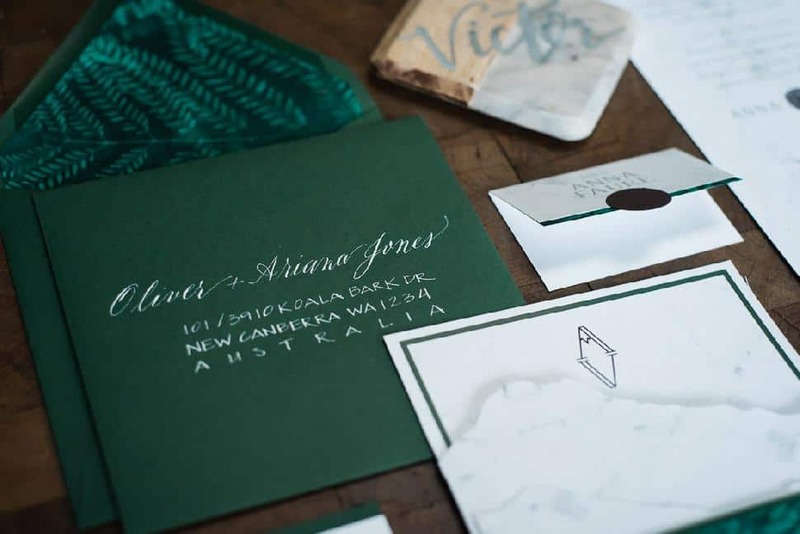 Calligraphy Catherine did the calligraphy for the dark green envelopes. 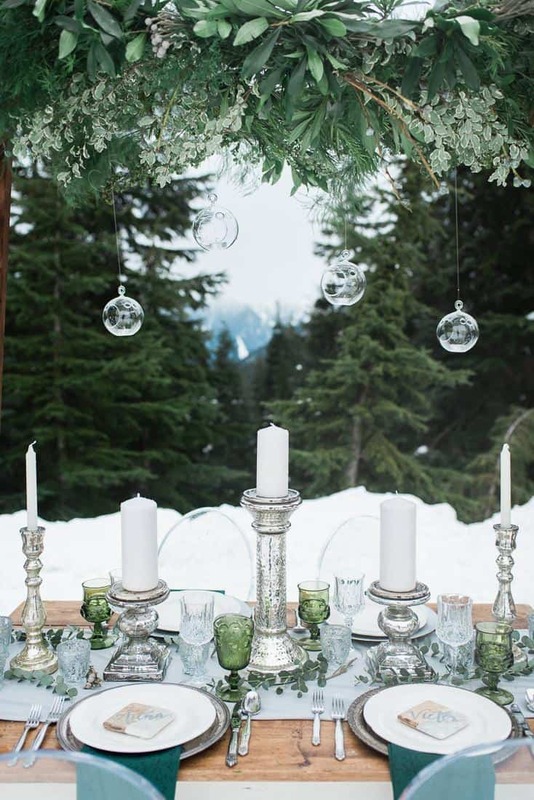 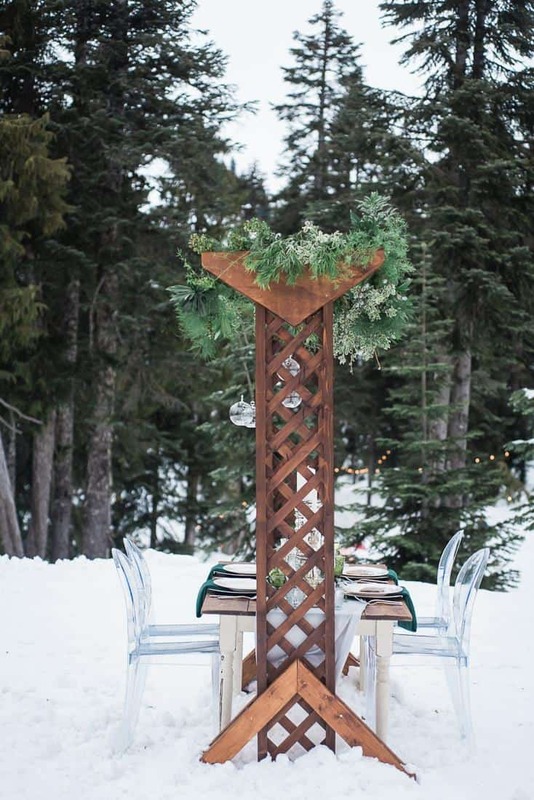 Umbrella Events called on Past Pieces and Kaye Fleur to create the outdoor table setting, which included a custom-made trellis covered in textured and whimsical greenery. 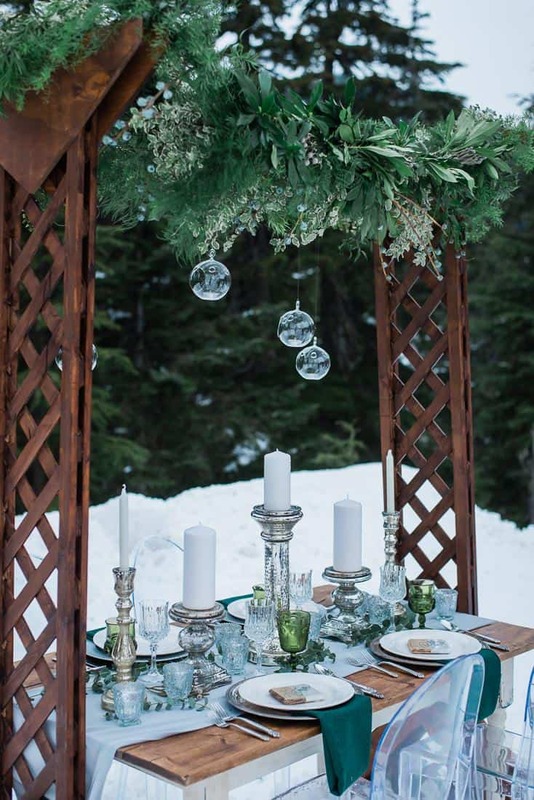 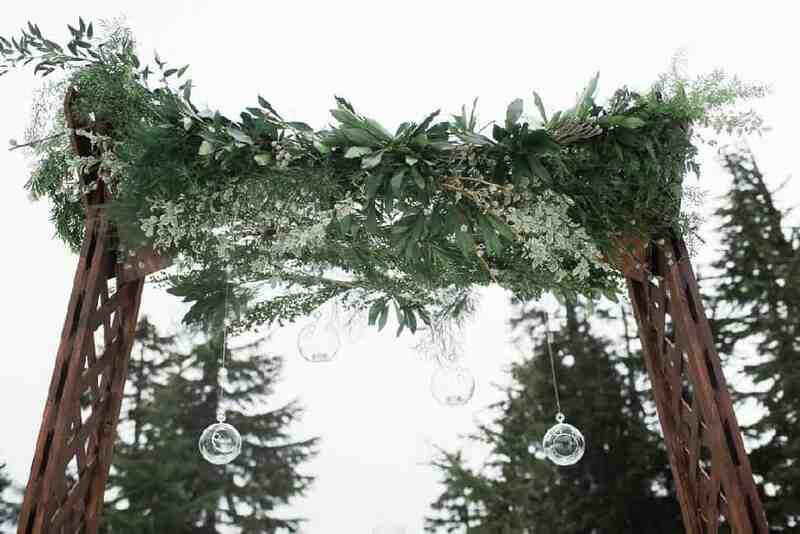 Kaye Fleur used mixed greenery including Brunia, boxwood, eucalyptus and hyacinth to frame the top of the trellis, mirroring the surrounding greenery of the evergreen trees. 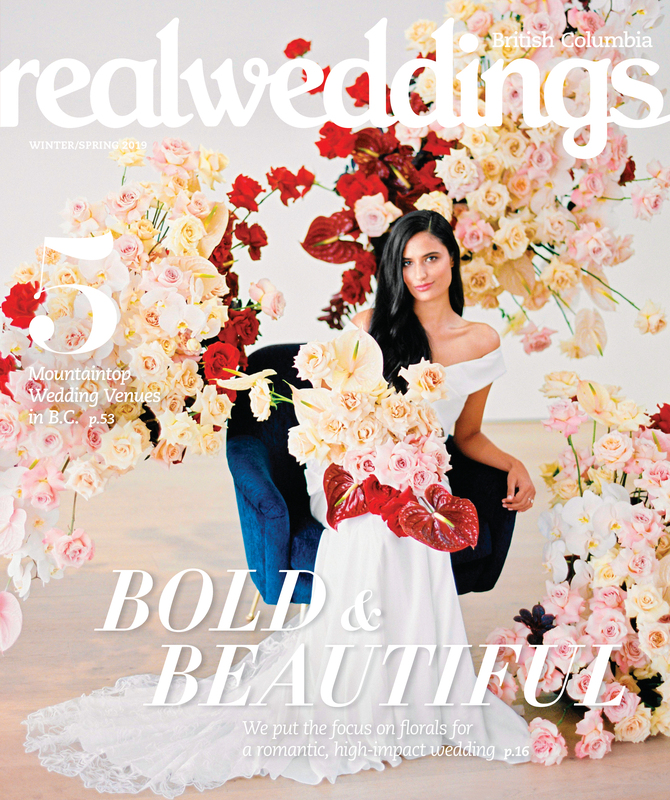 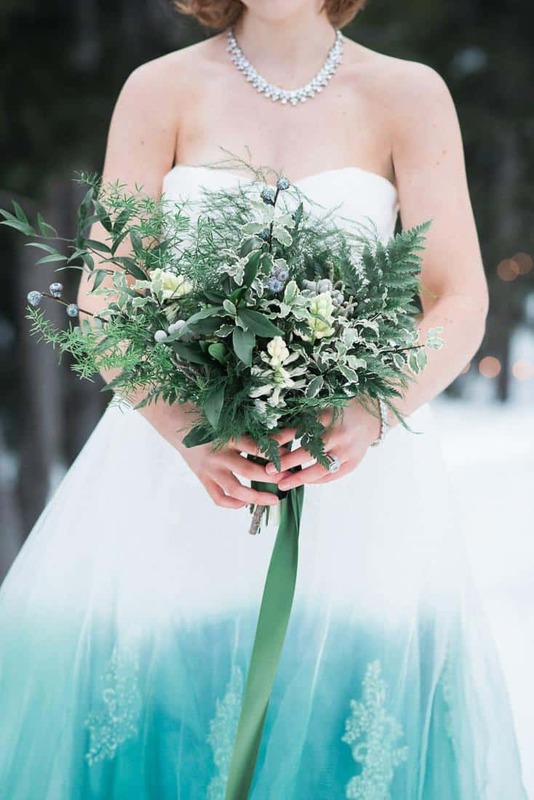 The bride’s bouquet and hairpiece complement the overall greenery inspired aesthetic. 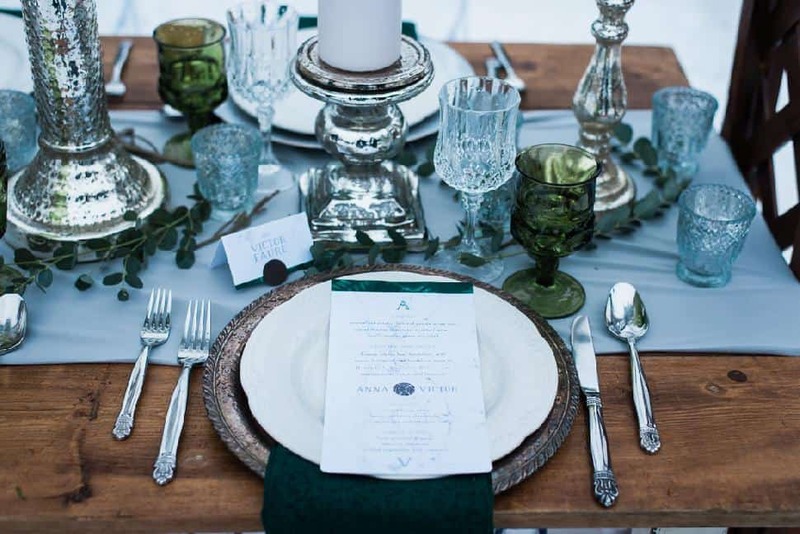 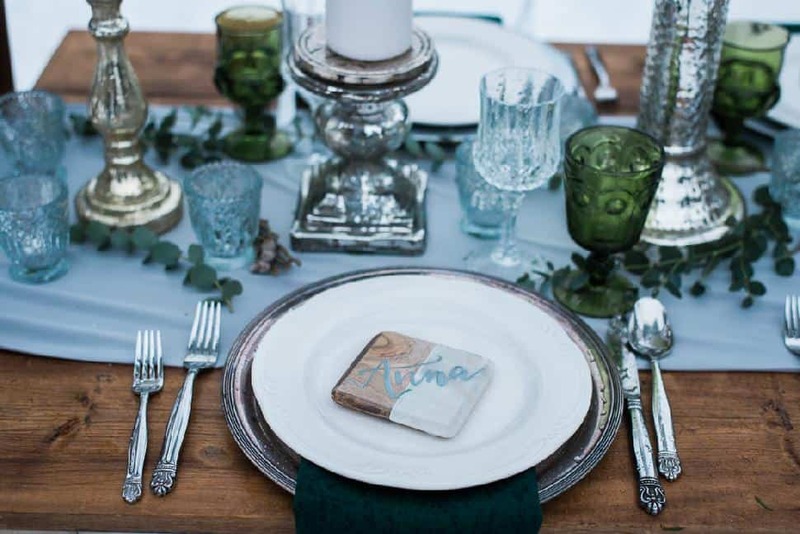 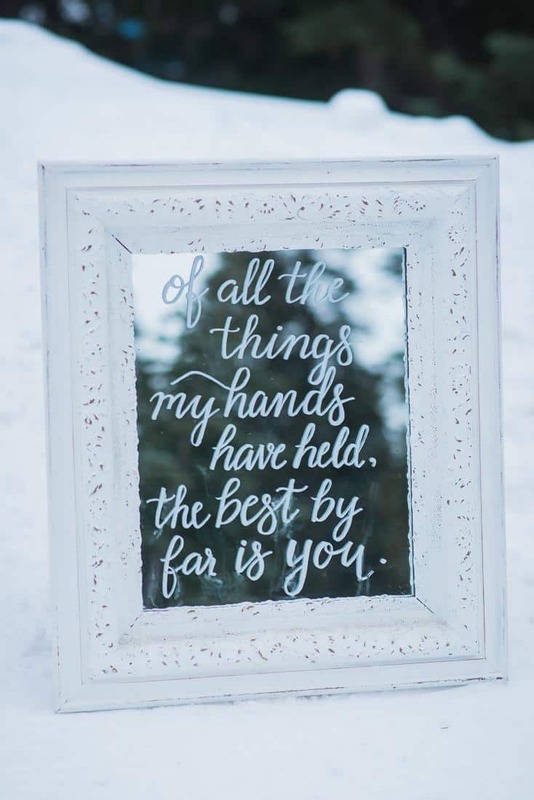 Past Pieces provided mercury glass candleholders and green vintage goblets, paired with marble coasters with elegant calligraphy by Alexandria Script, who also scripted the quote on the mirror. 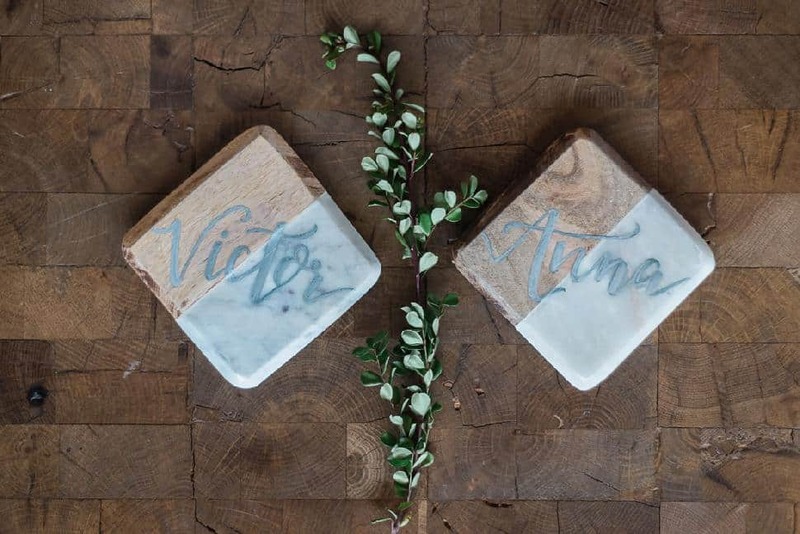 Items like the name card coasters also double as great favours for guests to bring home. 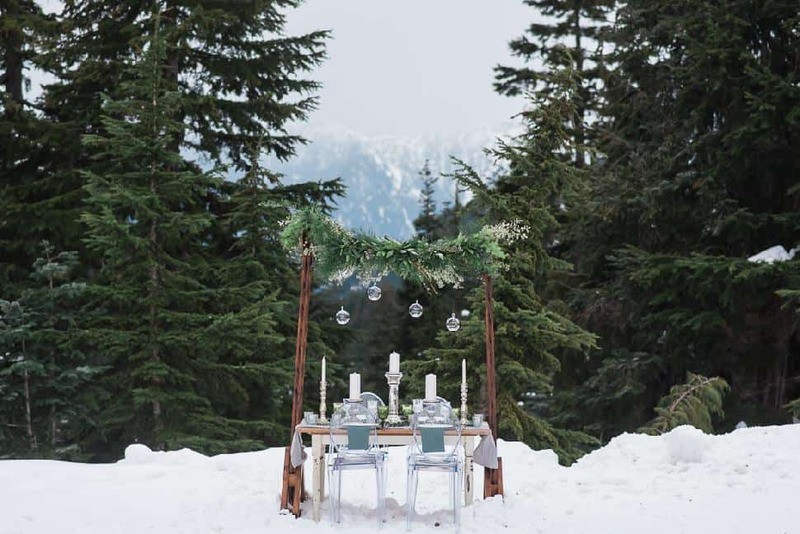 To keep the setting modern, they chose ghost chairs. 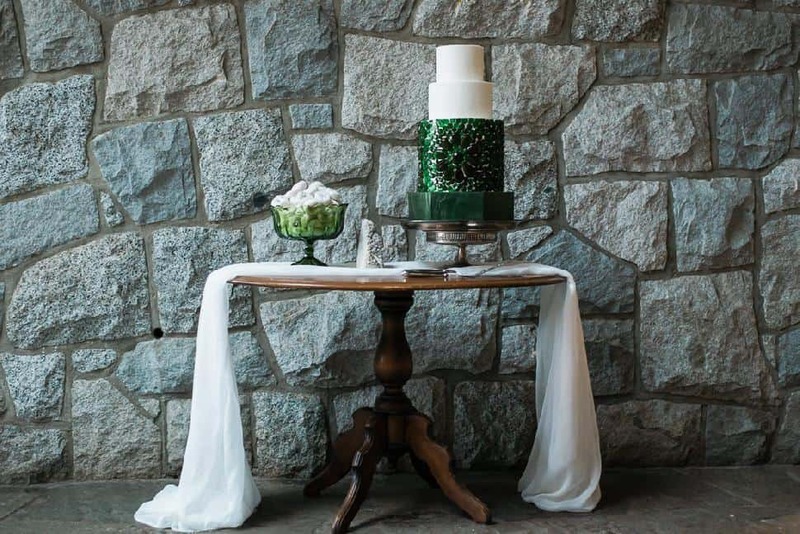 The cake table was set against a rugged stone backdrop. 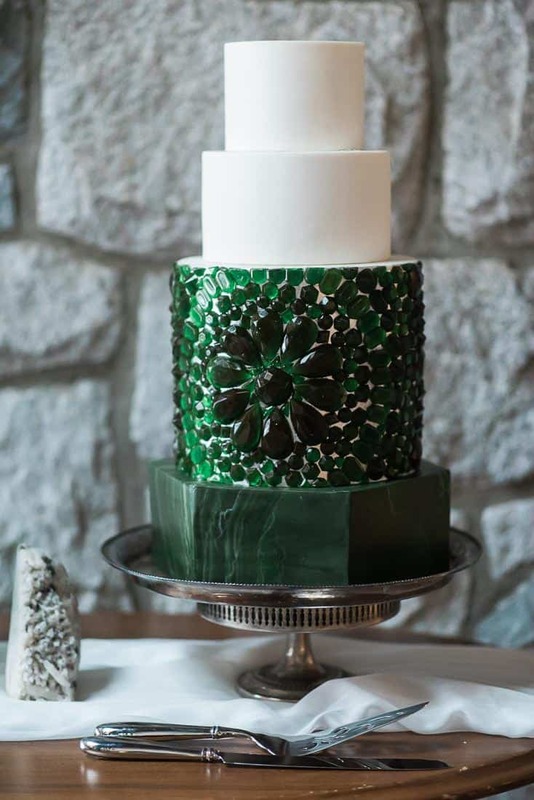 Letterpress Bakery created a three-tier white cake and covered the entire bottom layer with emerald green sugar jewels. 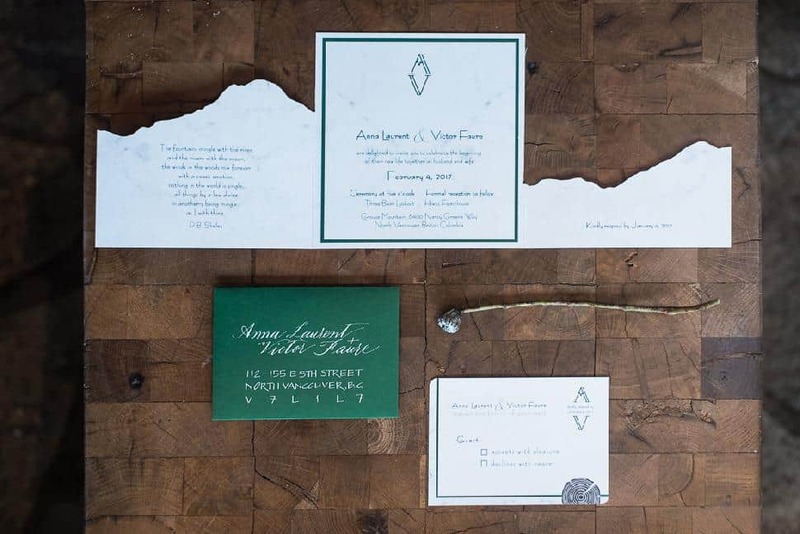 Set on a deep green marble stand, it’s a unique look. 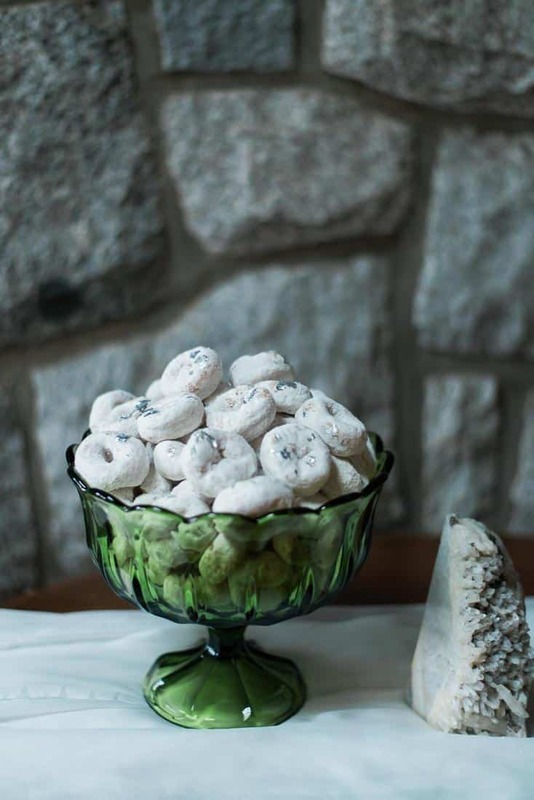 On the side, silver-dusted mini-doughnuts make for a delicious and beautiful snack. 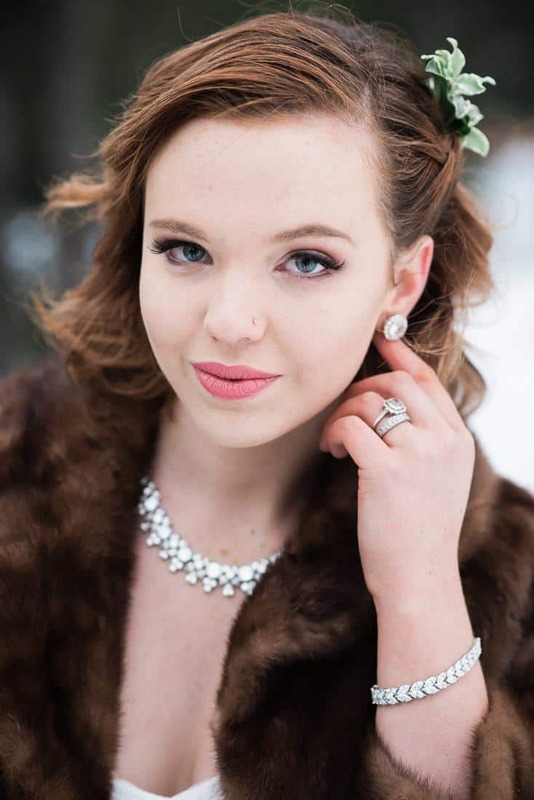 Andrea Alcala from the Tianna Tran beauty team kept the model’s look natural with loose curls framing her face. 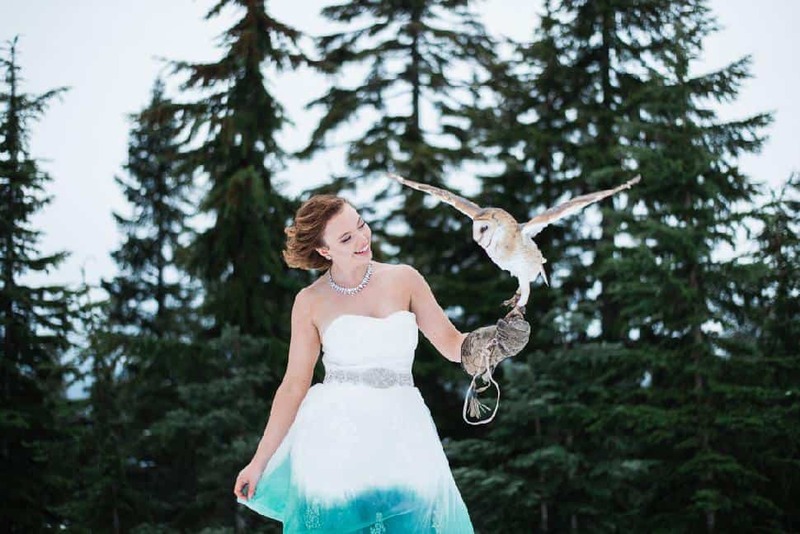 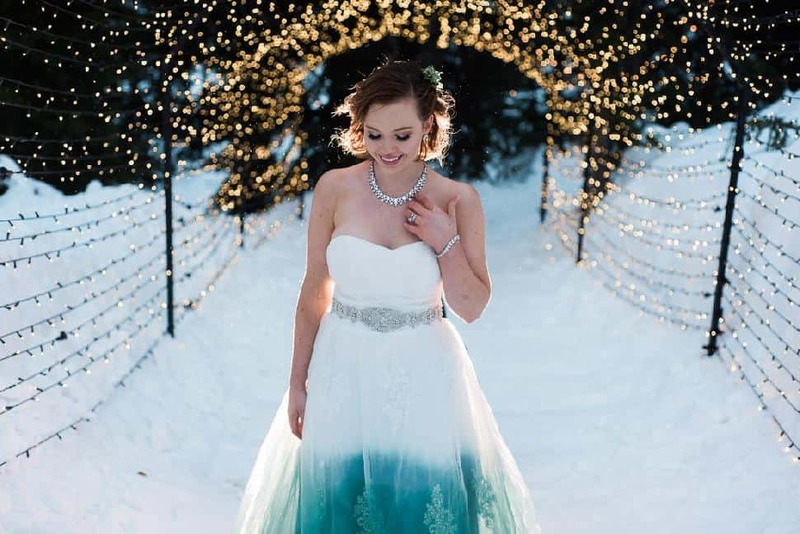 The dress was purchased second-hand, altered and hand-dyed a deep blue-green. 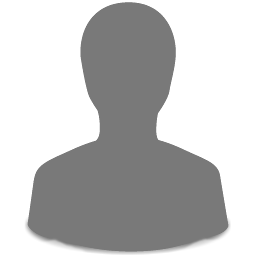 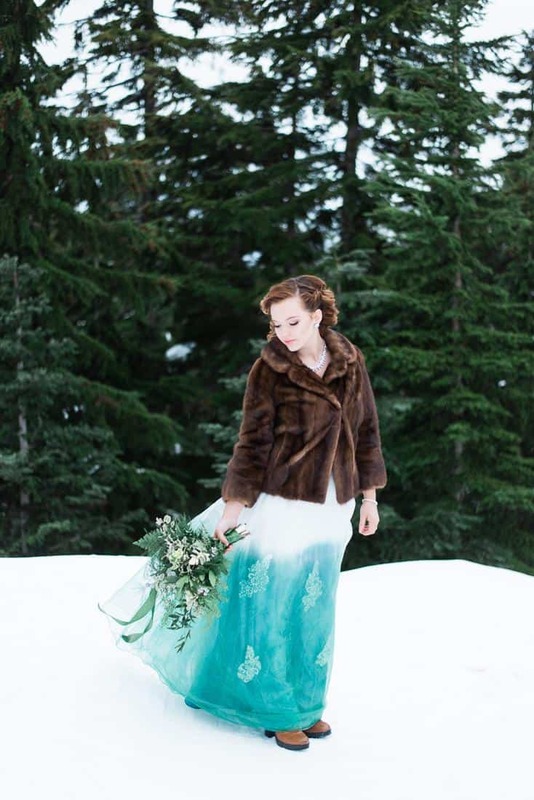 “We were pleasantly surprised how easy the dyeing project was,” say the team members. 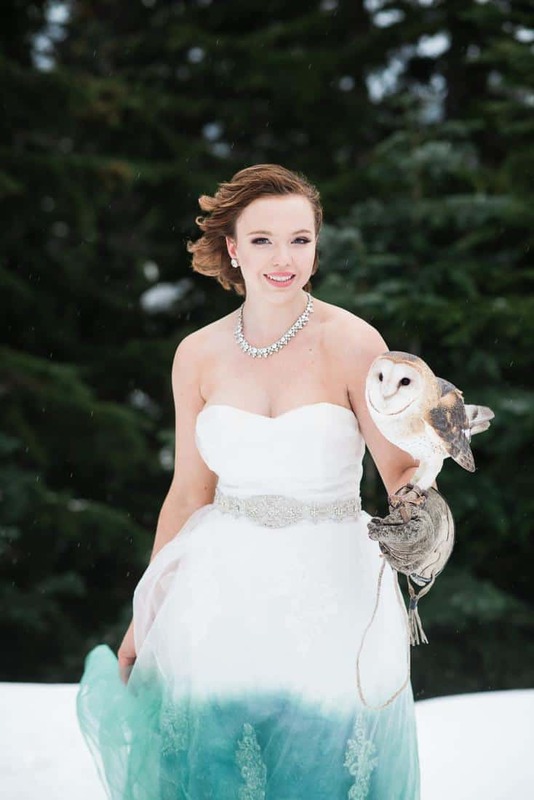 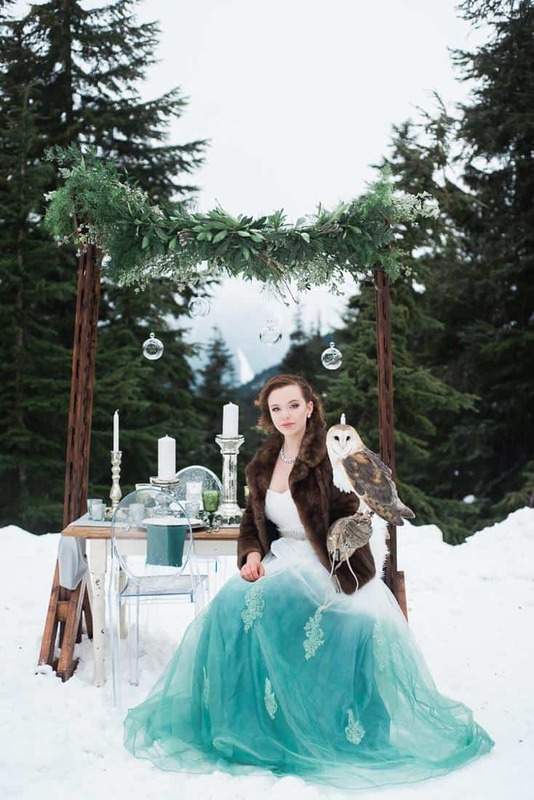 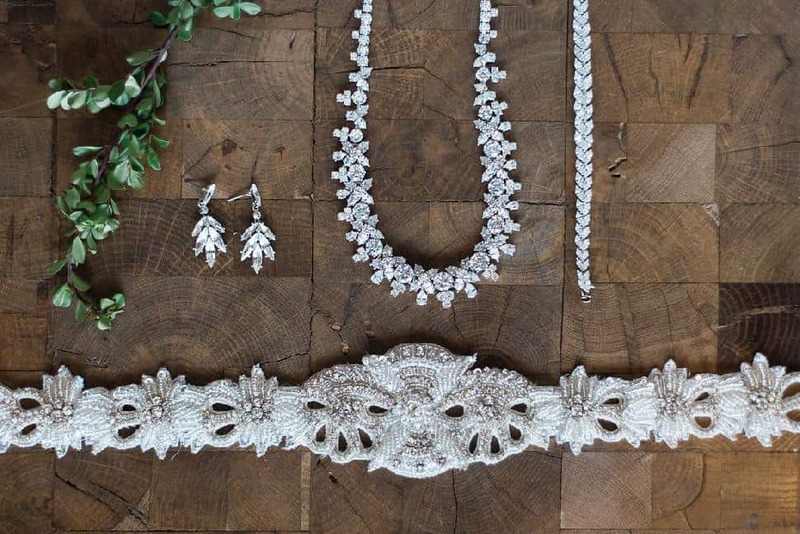 The Borrowed Collection provided the bride’s belt and jewellery (including the stud earrings, necklace and bracelet), adding some sparkle to reflect the snow. 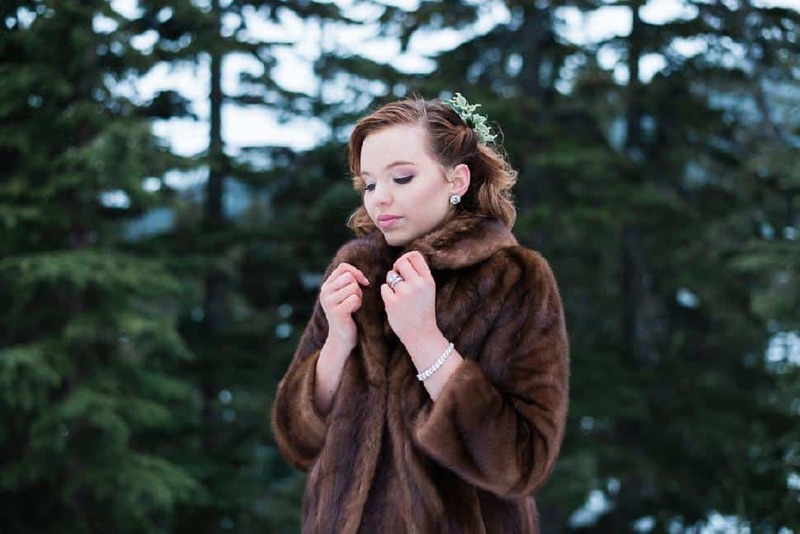 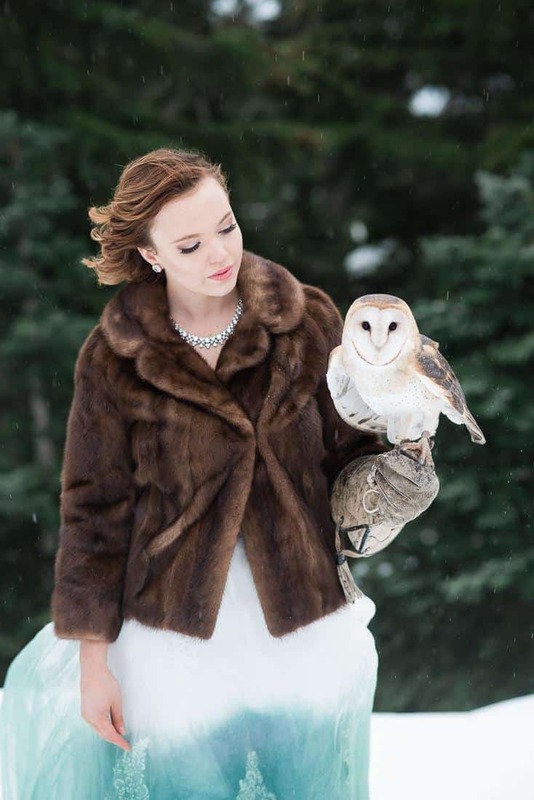 The fur jacket is a family heirloom.